Night shots of railroad subjects. Technically, pictures taken between sunset and sunrise. 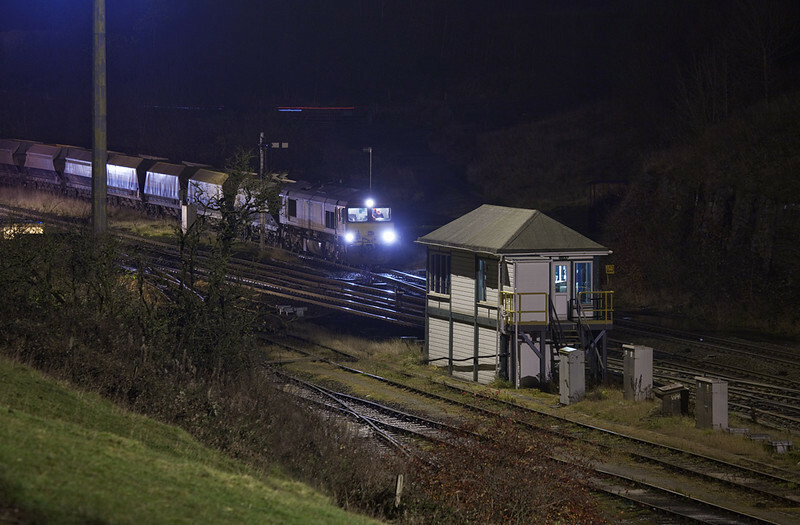 Class 66 pulling loads at night in Peak Forest South.